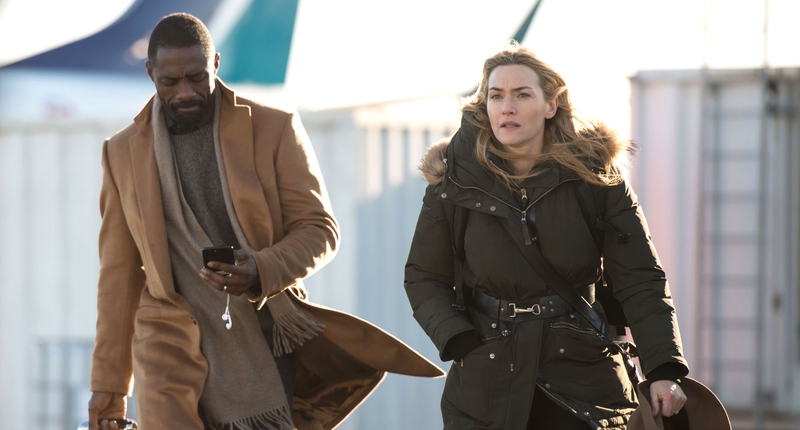 Ben (Idris Elba) and Alex (Kate Winslet) meet by chance at the airport in Denver where flights are being canceled due to the bad weather. Since Ben is scheduled to perform a surgery and Alex is supposed to get married, they really do need to get out of there, though. Realizing that they are both in the same boat, Alex suggests a solution: she knows a pilot, Walter (Beau Bridges), who can take them to their connecting flights on a private plane. They leave – but the plane crashes and Ben and Alex find themselves stranded on top of a mountain with nobody knowing where they are. 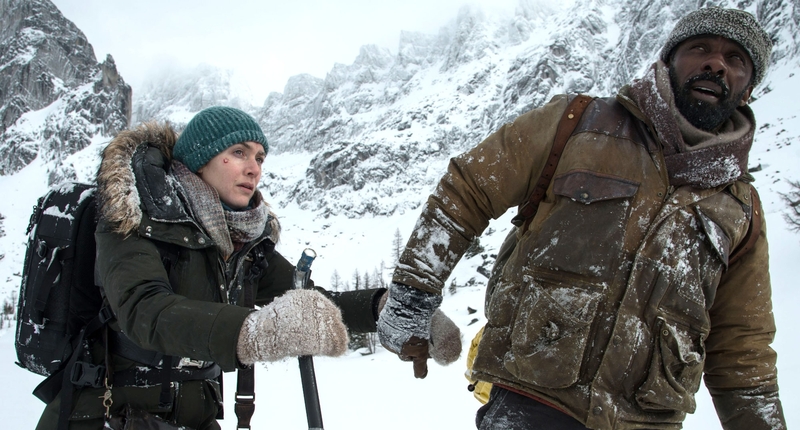 The Mountain Between Us is a nice romance film that is constantly being hampered by a bad adventure film that tries to push itself to the center of attention, making the entire thing a very weird experience. 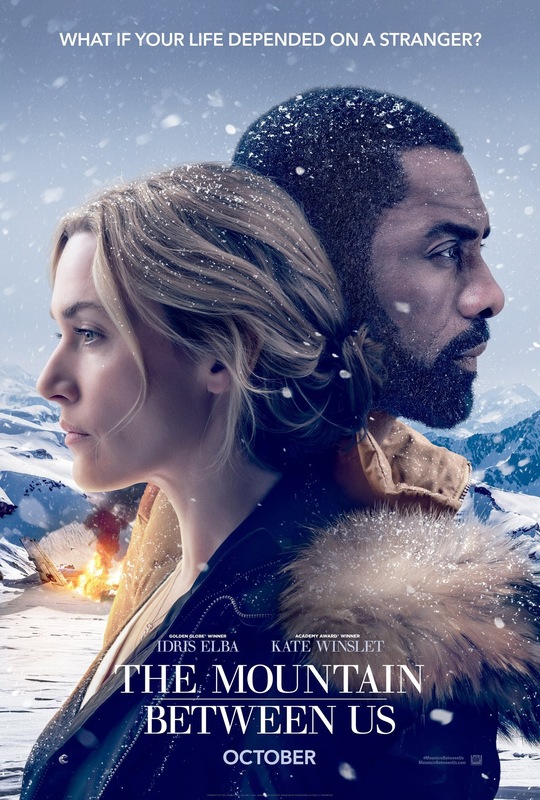 The Mountain Between Us is lucky that it has Winslet and Elba in the lead roles. Not only do they have good chemistry, their charismatic presences on screen and the understanding of their characters manage to push Ben and Alex past the stereotypes they set out to be and into being actual likeable people that I wanted to succeed and be happy. Ben is even allowed to be funny which is further elevated by Elba’s charm. Plus, Elba’s eyelashes are so long that snowflakes keep landing there – a fact that practically makes the movie worth it by itself. Without those two the film would have crashed (no pun intended) and burned. Because they may be charming, but the film often isn’t. It’s sexist and stupid and had me rolling my eyes, especially when it comes to the adventure stuff. If they had just made a film about Kate Winslet and Idris Elba falling in love over a nice cup of tea instead of on top of a mountain after a plane crash, everybody (including the audience) could have been spared some grief here. Summarizing: Unless you find Elba and Winslet as hot as I do, you should probably save yourself from watching this film. This entry was posted in movies and tagged 2017, Beau Bridges, Charles Martin, Chris Weitz, Dermot Mulroney, Hany Abu-Assad, Idris Elba, J. Mills Goodloe, Kate Winslet, Linda Sorensen, The Mountain Between Us by kalafudra. Bookmark the permalink.